Turkey was one of the first countries to side strongly with Venezuela's Nicolas Maduro after the US recognized Juan Guaidó as interim president last month. Turkey is also one of the first countries to strongly condemn China's policies toward its Uighur Muslim population. On Saturday, Turkey's foreign ministry released a statement condemning China and calling on the UN to "take effective measures in order to bring to an end to this human tragedy in Xinjiang," China's northwestern province. "It is no longer a secret that more than one million Uighur Turks incurring arbitrary arrests are subjected to torture and political brainwashing in internment camps and prisons," Turkey's foreign ministry said. Turkey has a close relationship with Venezuela's current regime. In mid-January, Ankara hosted Tareck El Aissami, vice president of Venezuela. On January 24, Turkish President Recep Tayyip Erdogan said that "I believe that the Venezuelan people will stand by the leader they have elected if Maduro stands tall and continues down the path he believes in." Maduro traveled to Turkey last year, where he feasted at a famous restaurant and announced "joint ventures" with Turkey regarding Venezuela's gold. At the time, Bloomberg news postulated that this might relate to Iran's efforts to avoid sanctions and Turkey's drift away from the West. 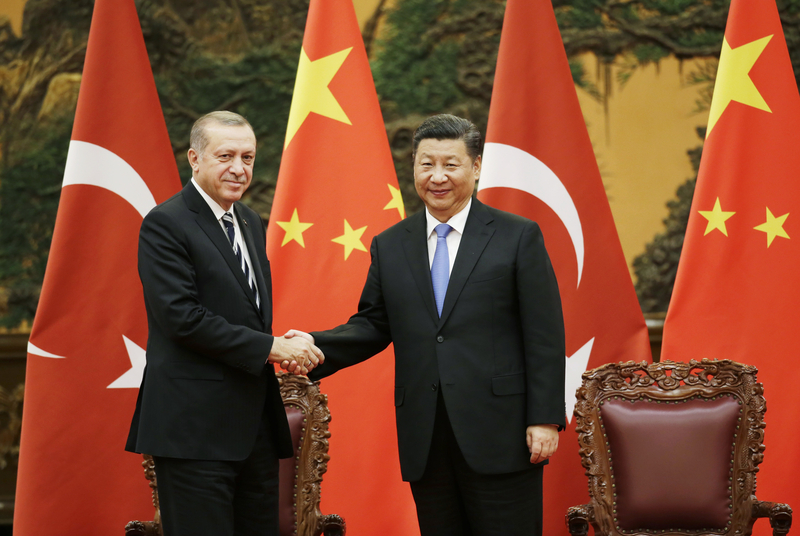 But Ankara has shown in the China statements that it is not merely drifting away from the West on the Venezuela issue, it is also positioning itself as a champion of Islamic and Turkish rights by seeking to highlight the Muslim and Turkish aspect of the Uighur issue in China. This has far-reaching ramifications because Turkey's economy likely needs Chinese investment at this critical time. Yet, Turkey wants to show that it has a global role to play and an independent one. It may side with China on the Venezuela issue, but not on the Uighur issue. It is part of Turkey's more robust foreign policy in the wake of the wind down of the Syrian civil war. Turkey believes it helped pressure US President Donald Trump to withdraw from Syria and Ankara says it will launch a new military operation in Syria soon. Turkey has skirted Iran sanctions and received an exemption from the US. Turkey is also seeking to buy both the S-400 and Patriot missile air defense systems, making it the only NATO country to have the Russian and US system. And Turkey is increasingly active in the energy sector in the Black Sea and Mediterranean. At a speech on February 9, the Turkish president said "those without a presence on the ground cannot have a seat at the table." He emphasized Turkey's role as a shipbuilder but he was likely hinting at other roles. Turkey is developing a port in the Sudan and is widening its reach in Africa. It seeks a global role from Venezuela to China, involving connections to Russia and African states and a greater role in Syria.